Hovland’s is proud to be recognized as a Dave Lennox Premier Dealer™ and are pleased to offer quality Lennox heating and air conditioning products. 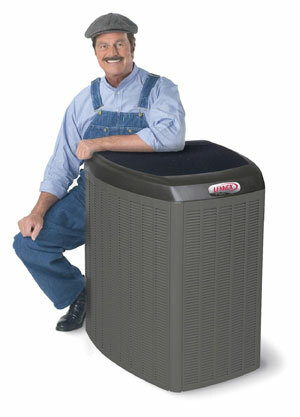 Lennox is renowned as an industry leader in providing innovative and energy efficient home comfort systems. Our Repair/Replacement division replaces old and inefficient equipment. If your 20 or 30-year old furnace or air conditioner breaks down in the middle of the heating or cooling season without any warning, our HVAC consultants and installers will work hard to make certain you are not without heating or cooling for any length of time. Unlike some HVAC companies that arbitrarily replace parts and equipment, we instruct our technicians to repair an expensive piece of equipment that is early in its life cycle whenever possible, to help save you money. If a part fails, we don’t simply replace the part, but thoroughly check the system to isolate what may have caused the failure to hopefully prevent the problem from reoccurring. However, if our technician believes it will be more cost effective to replace your equipment rather than repair it, he will promptly make that recommendation. At Hovland’s we always have our customer’s best interest in mind. Call or contact Hovland’s to schedule or inquire about repair or replacement services | 715-832-1691.